Rochester Health Newsletter - Rochester Health Get Connected. RH Newsletters are meant for all residents and healthcare professionals in the Rochester, New York area, including the counties of Monroe, Genesee, Livingston, Ontario, Orleans and Wayne. The RH Community Newsletter is meant for residents and their families and healthcare professionals alike—the RH Professional newsletter is meant specifically for healthcare professionals such as physicians, dentists, allied-health professionals, medical and dental practice staff, healthcare organization clinical and administrative staff, nonprofit healthcare service agencies and community health-related support groups. 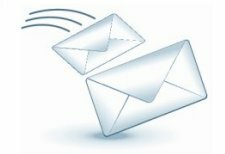 Please check your junkmail / spam folder for Rochester Health email communications as these email communications may mistakenly be routed by your email system to the junkmail / spam folder, if so please flag Rochester Health as a safe-sender. Rochester Health Community Newsletter: the monthly RH Community Newsletter includes: local healthcare job opportunities, announcements of new healthcare providers to the community, Rochester-area health news and community health updates. Rochester Health Professional Newsletter: the quarterly RH Professional Newsletter is meant for health and medical professionals in the Rochester-area: physicians, dentists, allied-healthcare professionals, healthcare organizations (hospitals, home care agencies, health insurance companies, health clinics, clinical laboratories, urgent care centers, imaging centers etc. ), health-related service agencies and local support groups. All Rochester-area persons and organizations involved in delivering medical, dental, mental-health services and health-related supplies, support and assistance to residents on Monroe, Genesee, Livingston, Ontario, Orleans and Wayne counties are encouraged to subscribe and also to participate with Rochester Health by becoming a registered RH Professional User (read more). The RH Professional Newsletter includes: new RH Professional features and enhancements, RH Community Advisory updates & recommendations, healthcare events of interest to medical practices healthcare directory listing updates & features, Rochester Health news and updates. Rochester-area healthcare professionals are encouraged in addition to subscribing to the RH Professional Newsletter too also subscribe to the RH Community Newsletter. Rochester Health Community Health Calendar Newsletter: RH Newsletter subscribers can also opt to receive the weekly RH Community Health Calendar newsletter. The RH Community Health Calendar newsletter contains a listing of upcoming Rochester-area health-related calendar events such as blood drives, health screenings, support group meetings, fund raisers, senior health-related events, health education seminars and more. Rochester Health New Provider Announcement: RH Newsletter subscribers can also opt to receive the RH New Provider Announcement newsletter. The RH New Provider Announcement newsletter features physicians, dentists and allied-healthcare professionals new to the Rochester-area or joining a new practice. Rochester Health Public Service Health Notifications: Subscribers to the RH Newsletter can also opt to receive RH Public Service Health Notification email updates—this public service notification will provide timely health alerts, health advisories and health updates affecting the health of the Rochester-area submitted to Rochester Health by local public health departments, school districts and other community health officials at the local, city, county and state levels. Rochester Health does not rent, sell or share email addresess submitted for the purposes of receiving RH newsletters. Each RH newsletter displays an unsubscribe link that users can use to unsubscribe from the Rochester Health newsletter mailing list at any time. Unsubscribing permanently removes the email address from the RH mailing list and only the original subscriber may re-add the email address to the RH newsletter mailing list. Please note that subscribers can opt to receive all RH newsletters (community, health calendar and health notifications) or just choose the newsletter of greatest interest. RH newsletter subscribers can change their newsletter preferences at any time and can unsuscribe from the newsletter at any time.